Say what you like about the reigning crop of fresh-faced Brit vlog-stars but their ability to build huge audiences is truly impressive, says Callum McGeoch, creativity director, Livity. With viewing figures that many TV producers would kill for, more obsessive fans than most boy-bands and engagement levels that marketers can only dream of, they must be doing something right. So what’s the secret of their success? Sure, most webcam wunderkind are pretty good-looking, some are quite funny and others imaginative. And yes, a few of them have a bit of talent with a guitar, a console or an eye pencil, but it’s not these modest blessings that explain their popularity. It’s the hard-won web wisdom, secret YouTube tricks and instinctive understanding of what young online audiences want that has fuelled their phenomenal growth. 'AmazingPhil' Lester has over 2m doting subs and a BBCR1 show, but it didn’t happen overnight. He uploaded his first vlog in 2006, that’s nine years' worth of learning and honing. Brands investing in content and expecting to own a large audience in the first few months will be disappointed. You can buy views (not that we condone pre-rolls) but you can’t buy subscribers or affection. Brands’ natural instinct is to develop their comms away from their target audience, save for a few focus group members. But this is not the way to develop a content strategy or an audience. Early adopters like Charlie McDonnell didn’t have a strategy or a treatment when they first sat down in front of their webcams, but they got instant feedback, experimented, adapted, evolved and the fans felt creatively invested. Don’t waste time and energy practising in front of the metaphorical mirror, use your nascent fanbase as your free test audience. Vloggers are able to be responsive, topical, prolific and experimental, not to mention economical, because they are the ultimate lean mean media machines. YouTubers like KickthePJ are the creative, scriptwriter, presenter, director, editor, publisher, community manager and data analyst all at once. While very few brands will be willing or able to do everything in-house, they should try to remove as many links in the chain as they possibly can. Linear, silo’d development and lengthy sign-off procedures are YouTube kryptonite. Cut them out before they kill your content dreams. 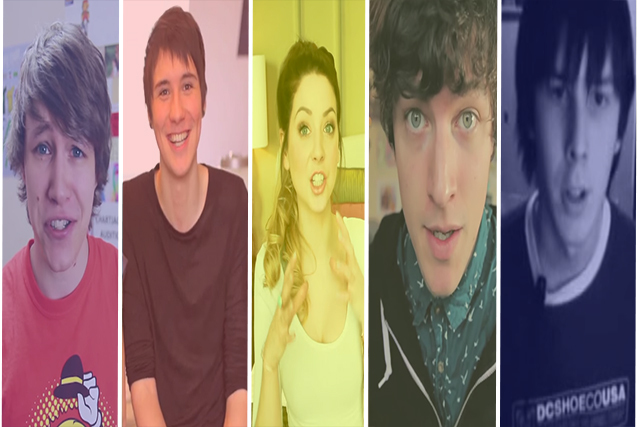 Where do the likes of Zoella and Jim Chapman get their ideas from? Vloggers frequently take inspiration from the comments section, rewarding engagement and making fans feel even more valued in the process. Marketers worry too much about how their content is going to get their target audience to talk about them, and not enough thinking about how what the audience is saying can inspire their next piece of content, or even a new product. Zoella and Jim Chapman "Things I'd Tell My Teenage Self"
Vloggers know there’s no better way to boost subscribers and views than by jumping on someone else’s popular channel, or getting them to jump on yours. This is route one for brands trying to establish a new channel, migrating communities through relevant partnerships will work much better than push amplification. Non-competing brands tapping the same interest verticals to chase similar audiences should hook up. There’s no reason NikeFootball couldn’t cross-promote with Heineken’s soccer channel or RedBull Music team up with Bose’s Art of Sound in mutually beneficial ways. Twitter and Facebook tackle video ads but whose strategy is better?